Home » Tube » Tube Challenge! 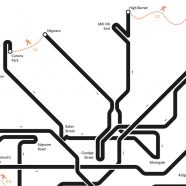 Want to visit all of London’s 270-odd tube stations in a day? 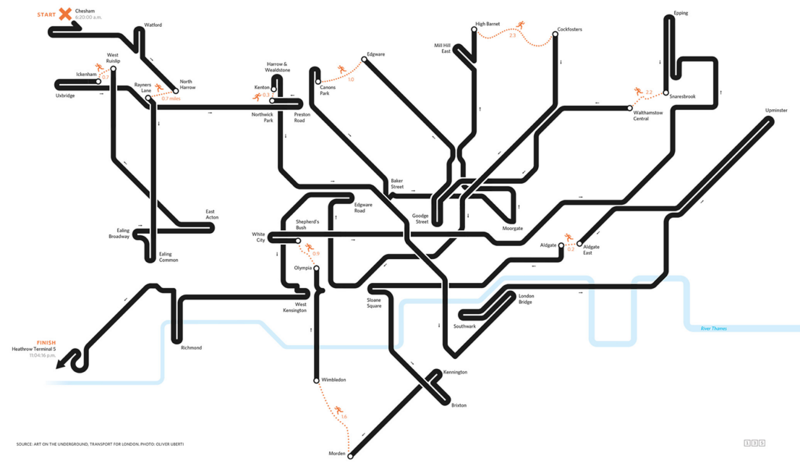 Being on the London Underground for an entire day will be many people’s idea of hell, but for some, it is the practical execution of a tricky mathematical problem and a chance to bag yourself a Guinness World Record. 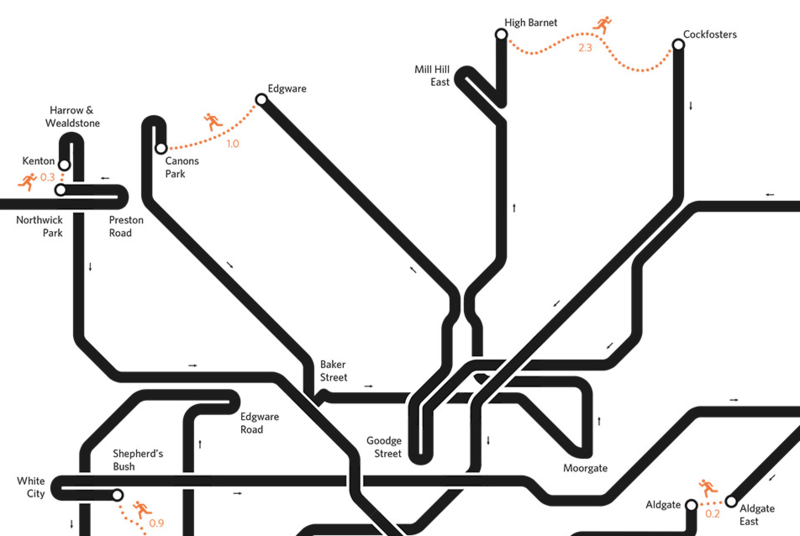 Tube Challengers normally keep their route secret, but a 2009 challenge route was made into an artwork. 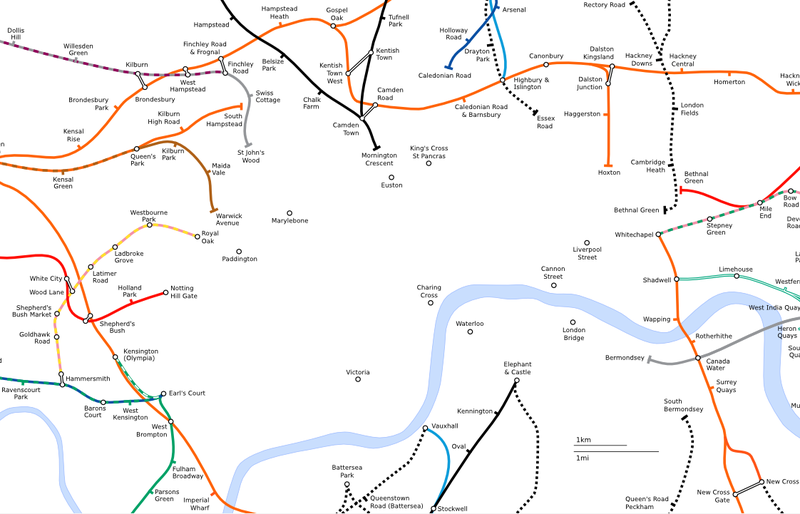 Information Capital co-author Oliver Uberti took the published route and created this map (full-size version here) which includes both sections travelling on the tube itself, and runs between certain key stations. 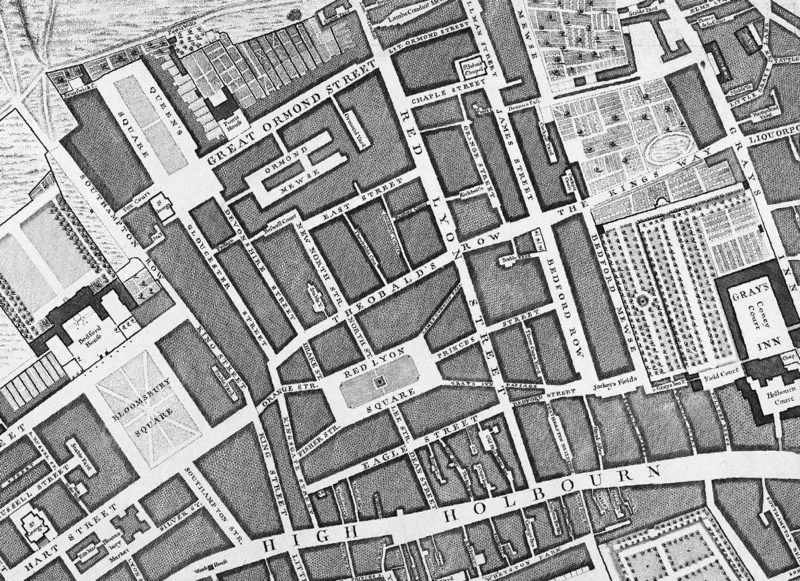 By the looks of thing, challengers get very used to passing through King’s Cross at various angles (middle right of the map). 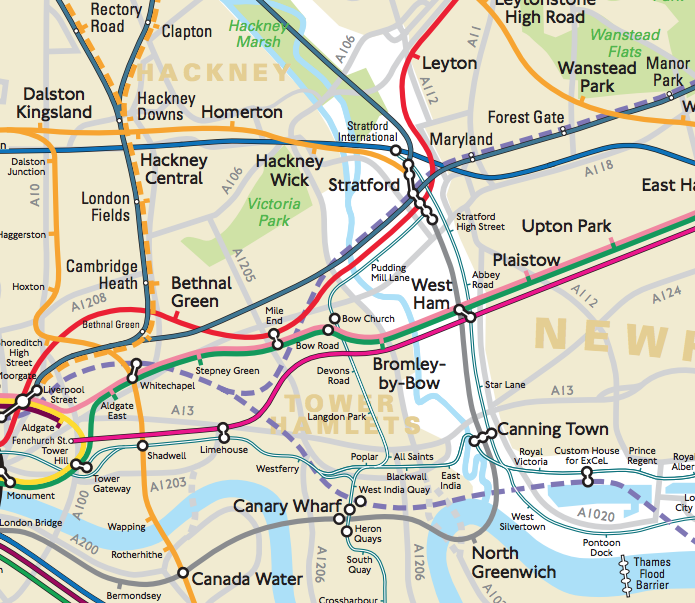 I like Oliver’s minimal use of colour, and simple, clear design, adapting the famous “Beck” tube map to show routes, not lines. 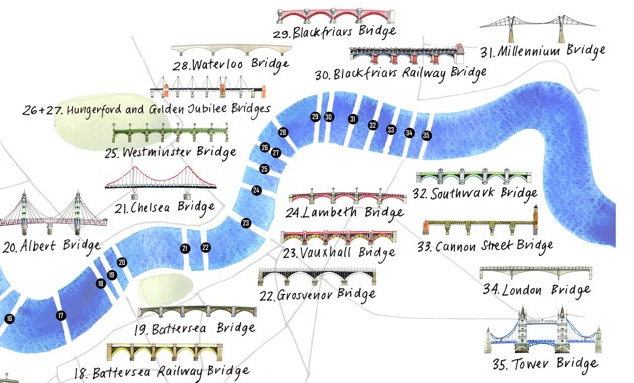 The stripped back map emphasises the only two things that you are going to spend 16+ hours doing should you accept the challenge – sitting on tube trains, and running. 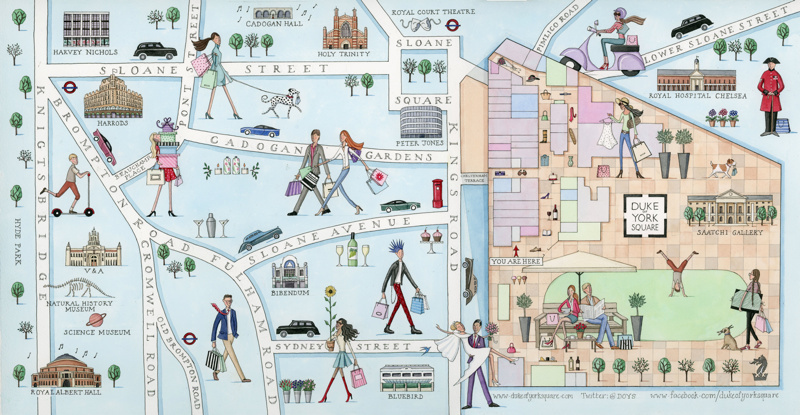 Excerpted from the Information Capital website and featured today on the BBC News Magazine. Well this is one of those things that have to be done simply because they can be. Probably best in Summer with longer days and warmer temperatures.